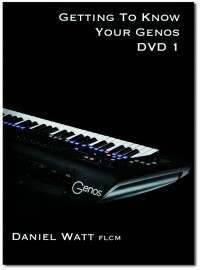 For the benefit of readers who don’t already know Daniel from his appearances on the organ / keyboard concert circuit I should introduce him as a member of Yamaha’s UK technical support team - so it’s quite possible that you will have spoken to him when calling the company’s help line for advice about your Genos. 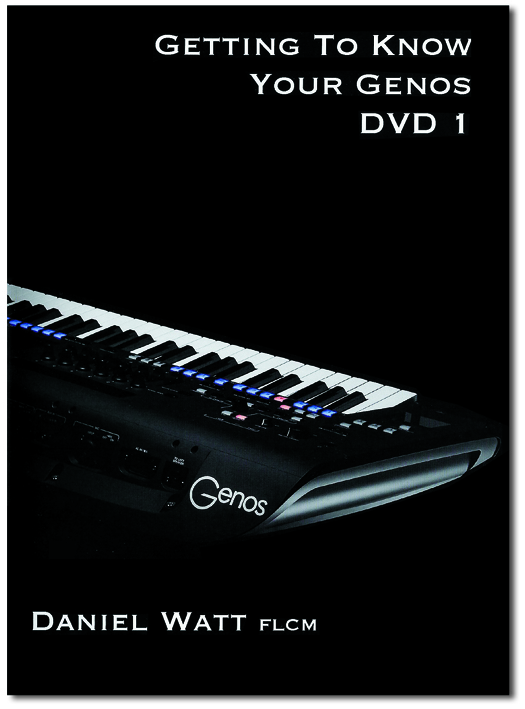 This, the first in a series of Genos tutorials by Daniel, covers many of the basic features of the instrument. I was a little surprised that ‘Playlist’ isn’t included here but the DVD does, however, include lots of the things that are essential to understand in order to get to grips properly with the instrument... Things such as how to set up Voices and Styles, save those you use frequently as ‘Favourites’ and successfully save the setups you create in the Registration Memory. Even though I’ve played Yamaha keyboards for most of my life I still discovered several things that I’d forgotten - and picked up a few tips into the bargain. The DVD is played out almost entirely with full screen images of the screen and a clear commentary in the background. Daniel takes the voice-over at a steady and relaxed pace so I think you’ll get the gist of most of what he’s telling you on the first run through and, of course, the beauty of the DVD is that you can rewind and play it again as many times as you like. I feel that it would have been nice to hear some musical illustrations of the features - because there is, in fact, no music at all throughout the tutorial - even though we see Daniel seated at the Genos during the opening shots. I know it’s not a vital element, because the tutorial is about the ‘button pressing’, but I would have liked, for example, to hear the effect of the Live Controls or even hear the voices and styles as they were selected. That, however, is only window dressing and with or without music the DVD is a great resource for the new Genos owner and will, I am sure be featured on many of our subscribers’ Christmas lists.